In general terms this generation of Polo is a considerable step forward in terms of refinement, agility, cabin space and overall 'big car feel'. Keen drivers might view the GTI model as the only one for thrill seekers, but Volkswagen's engineer's have shown they're capable of thinking outside the box with the quirky BlueGT variant. Volkswagen has a long history of producing small, fun and fast cars - think anything with a GTI badge. Not everyone, however, wants the all-out performance of such cars but still desires a fun experience. 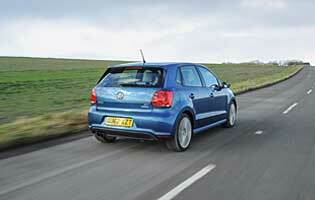 In 'warm hatch' terms, the Polo BlueGT is that car, delivering around 40 horsepower less than the full-fat GTI. The heart of the BlueGT is an advanced 1.4-litre, four-cylinder petrol engine boasting turbo and supercharging - the latter for low down acceleration and the former to provide a large slice of top-end thrust. Unlike the flagship GTI, the BlueGT model also promises more sensible running costs - hence the reference to VW's Bluemotion economy sub-brand. It achieves its goal by way of engine cylinder shut off, whereby two of the engine's four cylinders are shut off when the car is running on a light throttle. Almost imperceptible from inside the cabin, this action does much to cut fuel consumption, but not at the expense of overall refinement, be that in town or running at motorway speeds. In every over way this BlueGT model is everything you'd expect a warm version of a GTI would be. Externally the car's bodykit is a subtle one, while noise levels are subdued when on the move. Crucially for some, the car's ride isn't as firm as the GTI's, enabling it to be enjoyed on even the worst urban roads. Contrary to what the enthusiastic magazines might say, not everyone is desperately seeking super-fast hot hatchbacks. Ownership costs for such cars can be very high, and at odds with the opportunities when such performance can be exploited. 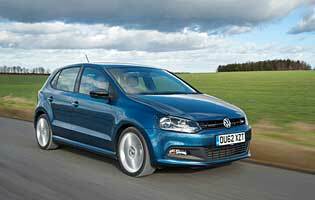 The Polo BlueGT offers a rewarding compromise in the form of more accessible performance, while maintaining sensible levels of refinement and comfort. There's no question that the trick engine technology plays an important role is ensuring modest running costs. That it doesn't hamper enjoyment proves that such mechanisms can be of benefit in the real world.